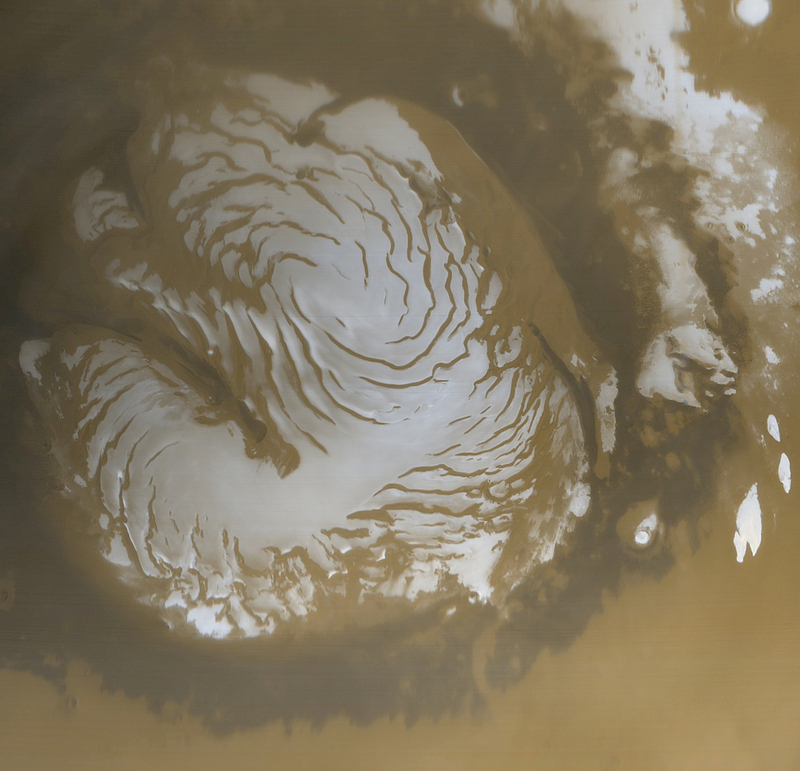 This is a wide angle view of the martian north polar cap as it appeared to the Mars Global Surveyor (MGS) Mars Orbiter Camera (MOC) in early northern summer. The picture was acquired on March 13, 1999, near the start of the Mapping Phase of the MGS mission. The light-toned surfaces are residual water ice that remains through the summer season. The nearly circular band of dark material surrounding the cap consists mainly of sand dunes formed and shaped by wind. 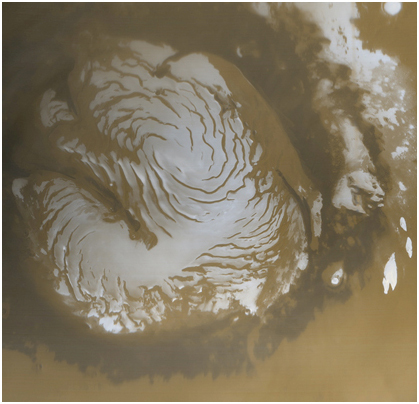 The north polar cap is roughly 1100 kilometers (680 miles) across.